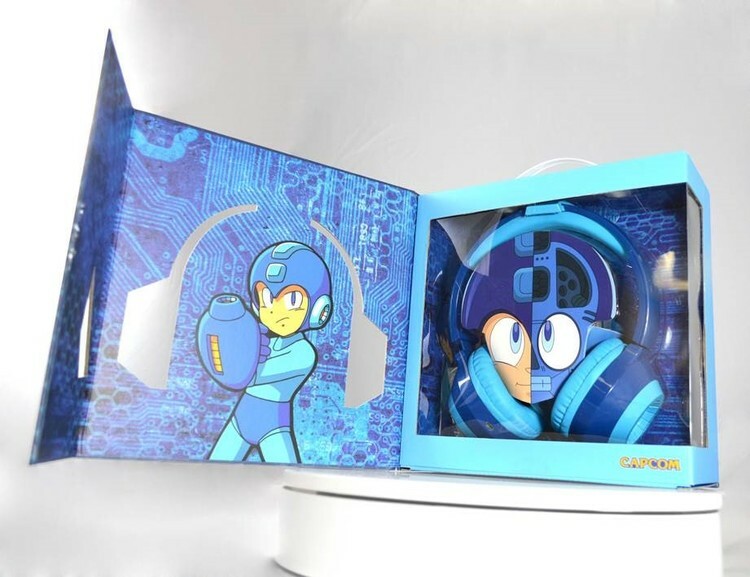 Congratulations on your order of the Official Mega Man™ Limited Edition Headphones. The truly Limited Edition product is one of the 5000 units and comes with an Official Capcom Certificate of Authenticity. Your order is within the first batch of production, and is estimated to ship out to you beginning February 1, 2016. We would like to express our gratitude and thank you for your patience. We will include a free gift with each order. Custom Tabz joystick grips with **YOUR** initials on them. These Custom Tabz are joystick grips for your gaming console controller. 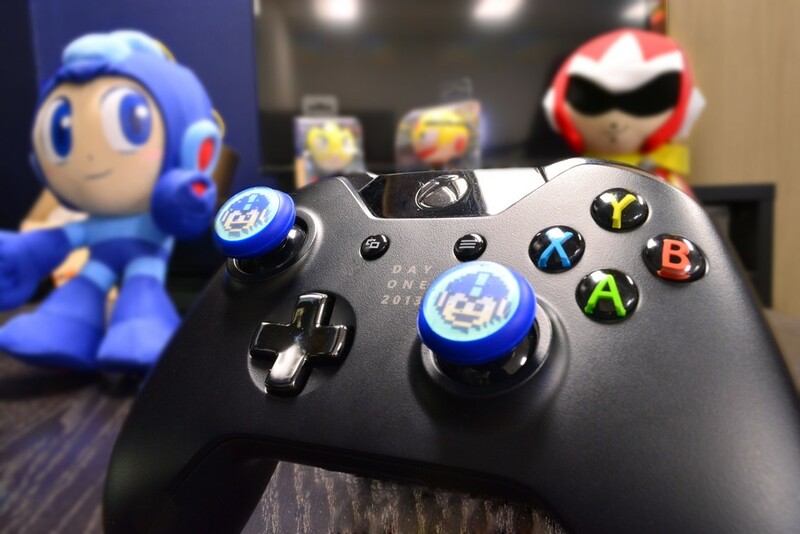 Also a set of Official Mega Man controller joystick tops. These are custom engineered for your controller's joystick so don’t worry about them not fitting. We will use the initials from the name you gave us via your order. The photo below shows a sample of your awesome Custom Tabz. 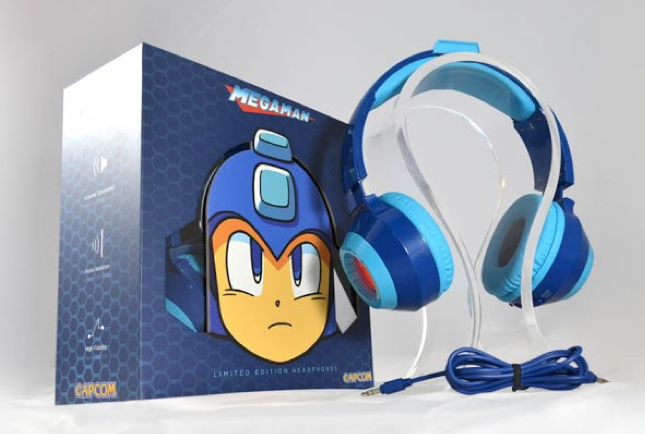 Official Mega Man™ Limited Edition Headphones. Developed with Capcom to ensure accurate character details. High quality Neodymium magnet speakers deliver unmatched sound performance. Compatible with any standard 3.5mm audio jack. Optional audio cable allows the headphones to be used as audio headphones or a decorative light-up helmet. Comfortable padded and light weight design with adjustable headband. Built-in Rechargeable Lithium-Ion power cells. 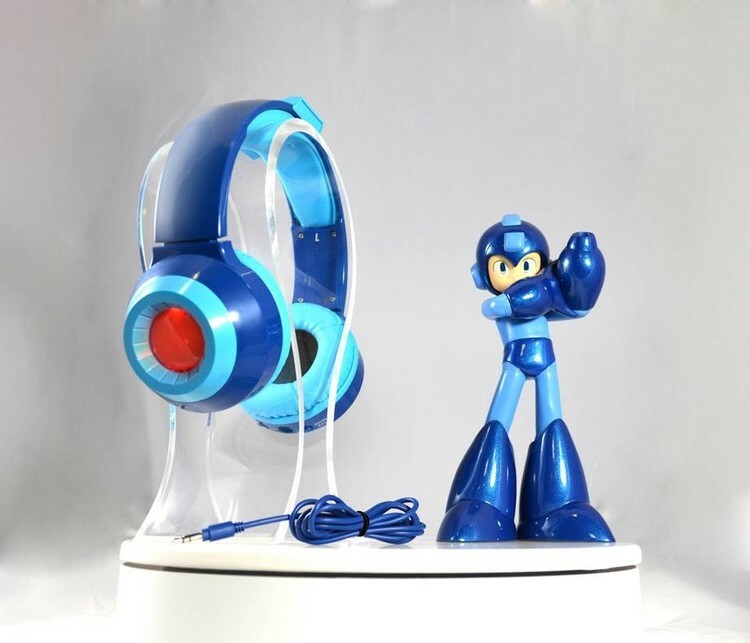 Just a PSA - you will not look like Megaman with these on. I know in your head you do, in my head I do, but you will not in real life. wait , if the audio cable is optional, does that mean it bluetooth? Judging from how they worded it, it probably means you can just disconnect the cable from the headphones to just wear them for their look. I got off the phone with Crapcom customer service just a few minutes ago. The lady told me that shipments will start going out in the next few business days.